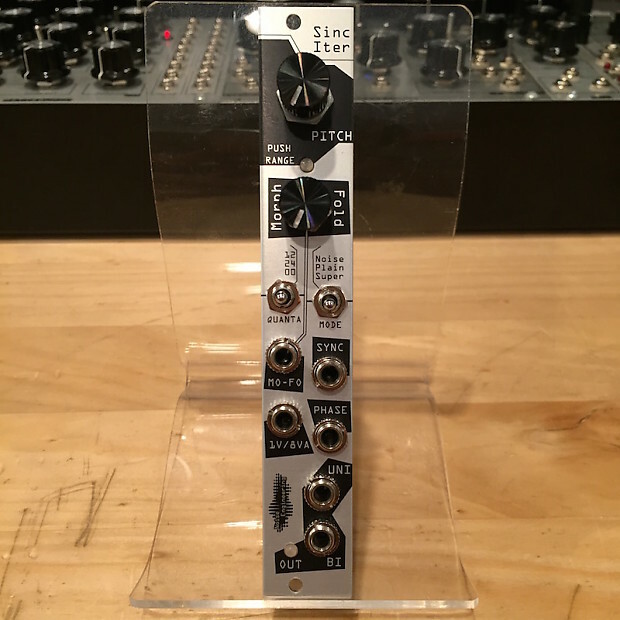 Sinc Iter is a four-HP voltage-controlled oscillator with a 23-octave range. 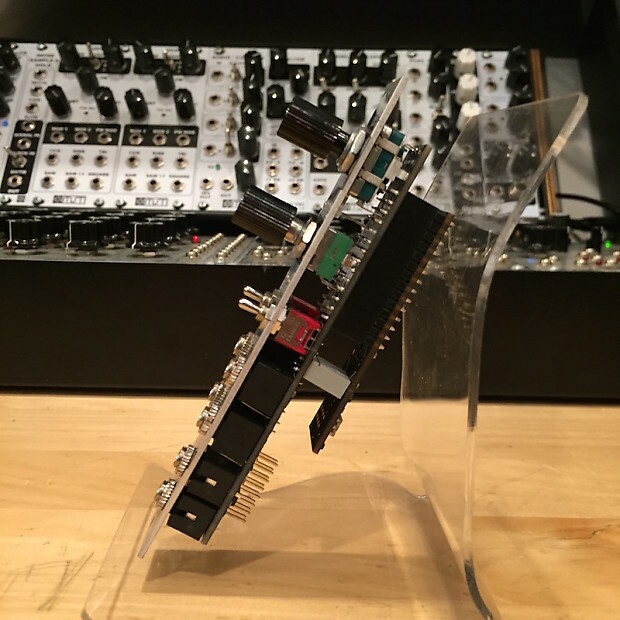 It has three waveform modes: noise, plain, and super, each of which allow continual morphing between waveforms. Front-panel unipolar and bipolar outputs allow for easy use as a control source. Phase modulation and Sync modulation are both supported to provide maximal tonal variety. e Sinc Iter also has a built-in quantizer. Sinc (shortened from sinclastic)- treasure - from Old english sinc "mime" with suffix -ic "pertaining to" "pertaining to mimes"